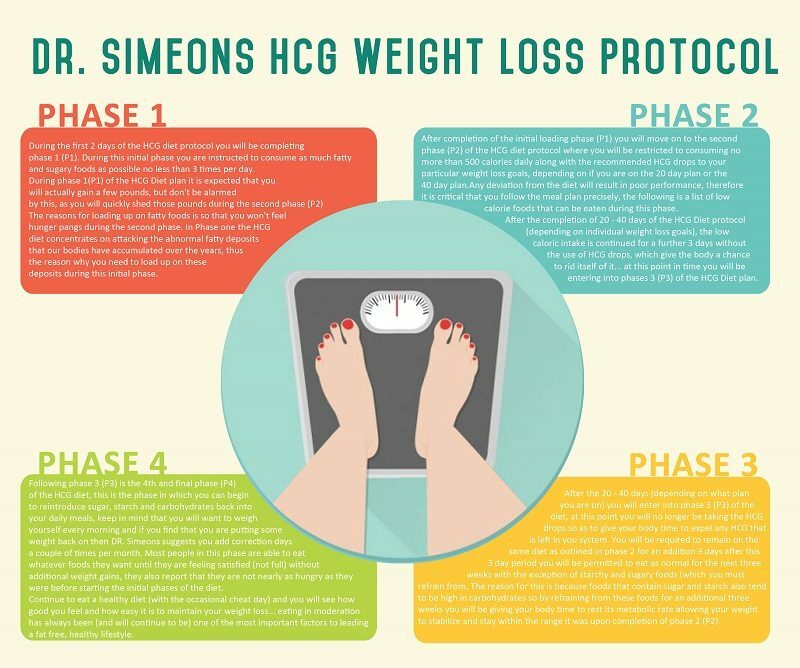 There are four Phases of the HCG diet. In the initial phase you need to build up the fat reserve. In this phase you are expected to eat as much as you desire. This phase lasts for two days using the HCG diet drops. This is followed by the 2nd phase which lasts for 23 to 40 days. In this phase you need to follow a diet which consists of 500 calories and includes fruits and vegetables as well as two meals which consist of 500 calories daily. The HCG drops are to be given in this phase as well. This phase is followed by the third phase where you will begin to reintroduce sugar, starch and carbohydrates back into your diet. The fourth and final phase is mainly related to maintenance and modifying your lifestyle. You are allowed to eat to your heart’s content so long as you are able to remove the excess starch and sugar.